"Rose Garden View" is available as a Fine Art LE Paper Print. 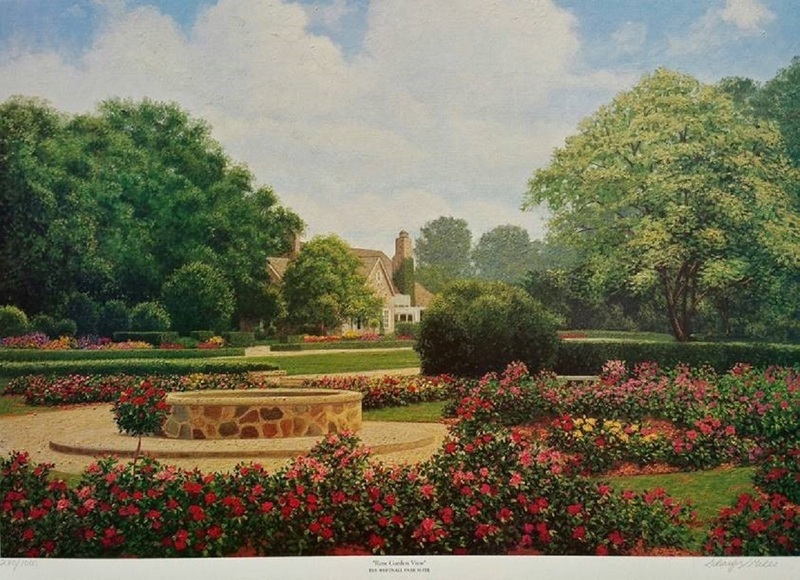 The old world charm of this beautiful rose garden inspired the artists to paint this stunning rendition in oil. The rose garden is the center of attention during the second week of June when 70,000 visitors flock to Hales Corner, WI. for the annual Rose Garden Festival. Wendy and Kevin feel fortunate to have such a magnificent subject to paint, so close to their home in Whitehall, WI.